Many, but not all, of the bodies buried under the several feet of the mythical debris from the "structural collapse" were infested with maggots, or fly larvae. The Autopsy Reports, the Justice Department Report, and Dr. Peerwani's courtroom testimony all assure us that many people in the concrete room were buried under the structural debris from the collapse of the concrete room. Certainly that should have been equivalent to "underground." How then to account for the fact that many of the bodies were infested with maggots if maggots cannot live underground? The maggots in the bodies of those buried under the non-existent "structural collapse" should have been a signal for the Smithsonian experts advising Dr. Peerwani that the bodies may have been on the surface, become fly blown, and were then buried. Dr. Ubelaker points out in his book that the presence of maggots in a body can help to establish the time of death (Ubelaker, pg. 157-166). "Wherever there is a smell of death, flies come in great numbers," says Dr. Ubelaker. They lay their eggs in open orifices. The eggs hatch. The resultant larvae feed, grow, and pupate before becoming adults." (Ubelaker, pg. 164). 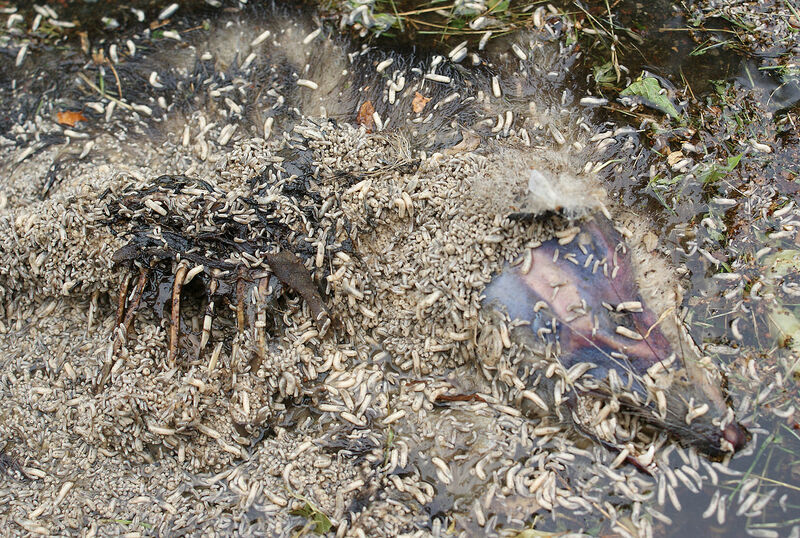 When using maggots to determine the time since death, the forensic scientist must identify the maggot's species. The different species of flies have different reproductive time intervals. Species differ from one another in appearance during their growth stages. So the maggots are removed from the corpse and cultivated. When the adult fly eventually appears and the species of adult fly is recognized, the timing data from its life cycle can be applied precisely. There is no evidence that Dr. Peerwani, his staff, Dr. Ubelaker, or Dr. Owsley were interested in verifying time since death by examining the remains for pupal cases. Why such a lack of interest in this case? After all, the murderers of these Branch Davidians were still free, and could be apprehended by the law. Here is another line of inquiry that was missed by Dr. Peerwani and his Smithsonian advisers. What a pity that Dr. Ubelaker's forensic skills were not applied to the remains of the Branch Davidians—one wonders why these victims were less worthy of attention than the homeless man Dr. Ubelaker worked on. Had he or Dr. Owsley believed that the Davidians were buried several feet under concrete rubble, the presence of maggots should have been a screaming alarm that the bodies had been moved after death.